Get busy building! 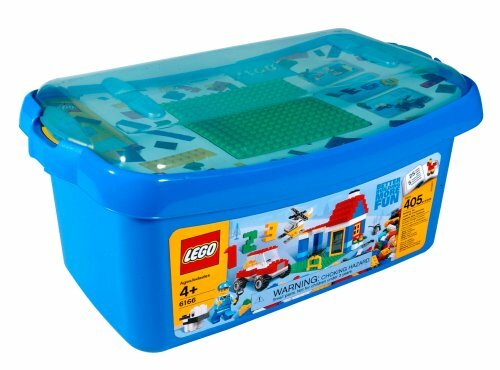 This jam-packed tub features an extensive assortment of LEGO bricks and other fun elements. It includes a building plate, mini figure, windows, doors and wheels. New container allows for easy clean-up and efficient storage. The transparent lid lets builders display their models. Includes building instructions for five models and photo inspiration for 25 more. 405 pieces. Tub measures 7.56"H x 15.12"W x 8.98"D.